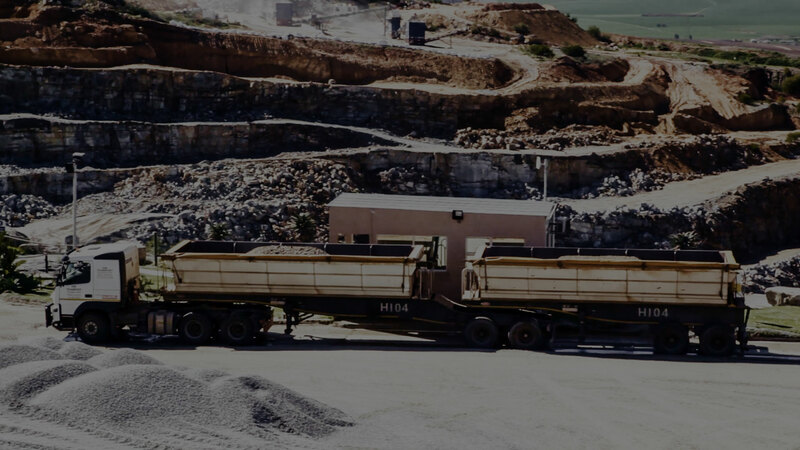 Find out more about SSB Transport, Mining & Plant Hire. We are ideally placed and equipped from a human resources, financial and equipment point of view, to successfully manage any bulk transport requirement. SSB was started by Andrè Brink in June 1994 with one vehicle and one driver. Today, 23 years later, the company has a staff a compliment of over 160 employees, a fleet of over 70 trucks and over 90 trailer combinations. In addition, SSB has over 30 items of heavy plant, which includes loaders, excavators, dozers and screens. Our client base is diversified and boasts many longstanding relationships with well-known companies, including Afrisam South Africa, Consol Glass and Transnet Port Terminals. We have a large agriculturally based recycling and feeding arm to the business. In addition, SSB is a leading supplier of composting materials to the western cape agricultural industry. SSB is based at its modern recently re-developed premises in Parow Industria. We run a 24 hour a day operations room that enables us to serve our diversified client base all year round. All trucks are monitored with satellite tracking systems, which enables us to serve our clients efficiently and economically.